Point2 Homes gives you far more than a simple list of houses for sale. Get instant access to a lot of relevant information about Bay Roberts, NL real estate, including property descriptions, virtual tours, maps and photos. The search results pages also have a wealth of information on Bay Roberts, NL, if you scroll all the way down. 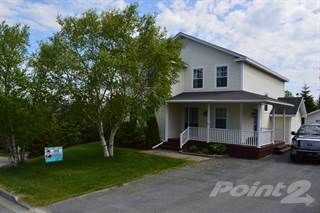 There are 131 houses for sale in Bay Roberts, NL. 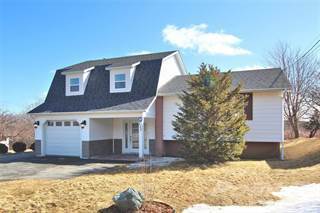 Searching homes for sale in Bay Roberts, NL has never been more convenient. 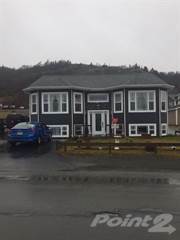 With Point2 Homes, you can easily browse through Bay Roberts, NL single family homes for sale, townhomes, condos and commercial properties, and quickly get a general perspective of the real estate prices. Also, you’ll never miss a bargain if you filter listings based on house price drops in the past six months. Use the map view to find Bay Roberts, NL homes and apartments for sale, based on amenities or city features that you may want close by. You can close in on a specific neighbourhood or area by simply drawing around them with the polygon or radius tools. Stay informed about the latest entries on the real estate market by saving your searches. This way, you get new listings in your inbox, daily or every week, based on your preferences. If you’d like to get in touch with a professional, agents are displayed next to their listings, and they’re easy to contact through the online forms. If you want more options, you can click the Tools tab and Find an Agent, and you’ll get a list of helpful and knowledgeable real estate agents in Bay Roberts, NL. Visit the Point2 Homes blog and you can find up to date expert advice on many markets throughout Canada, regular market reports, neighbourhood scoops in cities throughout the provinces, real estate deals and useful recommendations. Located in the southeastern portion of the province, Bay Roberts is home to over 11,000 people. The city covers 103.71 square kilometres near the communities of Spaniard’s Bay, Coley’s Point South, Otterbury, and Clarke’s Beach and is located on the north shore of Conception Bay on the northeastern Avalon Peninsula. Highway 70 (Conception Bay Highway) runs through the city and connects it to a number of nearby communities. Numerous small ponds surround the city, including Shearstown Pond, Beaver Pond, Rocky Pond, Goose Pond, Third Pond, Long Beach Pond, and Black Duck Pond. The northern section of Bay Roberts includes residential areas, churches, schools, service providers, shops, parks, ponds, shoreline, government offices, attractions, a few small restaurants, beautiful scenery, a post office, and a medical centre. The city’s central section has residential areas, shops, restaurants, service providers, churches, accommodations, an arena, schools, parks, and a bowling alley. Residential areas, a shopping mall, restaurants, service providers, a post office, an animal hospital, ponds, parks, accommodations, churches, and schools can all be found in the city’s southern section. The Christopher Pratt Gallery is an art gallery showcasing works by Newfoundland artist Christopher Pratt, as well as permanent and temporary exhibitions of works by a variety of other artists, both local and international. The gallery is located in the Cable Building National Historic Site, which also houses the Road to Yesterday Museum. This museum focuses on exhibits and information on the commercial history and lifestyles of Bay Roberts at the turn of the 20th century. Around 3,000 artifacts are on display, depicting things such as military history, pottery fragments found in the area from the 1500s, and clothing worn in the past. Bay Roberts’ park areas include Shearstown Playground, East End Playground, Coley’s Point Playground, Butlerville Playground Area, and the Community Gardens, which are used for a variety of events, including picnics, Canada Day celebrations, and seasonal events like the Halloween Lantern Festival. Goose Pond Eco Park features a walking trail that follows the shore of Goose Pond, beautiful greenspace, benches, and many birdwatching and wildlife viewing opportunities. The park is a popular spot for walking, picnicking, geocaching, and enjoying the variety of wildlife in the warmer months, and snowshoeing and cross-country skiing in the colder months. Bay Roberts’ economic history was built on the fishing industry, but today major industries in the city include services, retail, trades, manufacturing, healthcare, and tourism. About half of the province’s population can get to the city within an hour, which provides easy access for shopping, dining, and enjoying the city’s entertainment and recreation options. The Bay Roberts Business Park offers space for a number of different businesses, including retail and service companies. The city’s Tourism and Development Department provides information, resources, and assistance to new and existing businesses, as well as those who are interested in investing in the city’s economic development. A mix of affordable vacant land, reasonably priced single-family homes, and commercial space can be found in the city’s northern section. There are both older and newer single-family homes available here, both of which can provide affordable homeownership options. Many homes are situated on large, rural-style lots. Vacant land is plentiful in Bay Roberts’ central section, and comes at a variety of price points, depending on location and size. Single-family homes tend to be affordable here, although there are some larger, newer, higher-priced options available also. Commercial space in this section tends to be retail or restaurant-based. In the city’s southern section, single-family homes make up the majority of the real estate and tend to be slightly more expensive than the homes are in the northern and central sections. Single-family homes are often larger and are on desirable lots in this section. School options in Bay Roberts include Amalgamated Academy, Ascension Collegiate, and Coley’s Point Primary. Other options found nearby include Holy Redeemer Elementary, St. Peter’s Elementary School, Bishop O’Neill Collegiate, and St. Francis High School. Canadian Training Institute is the only post-secondary option located in the city, and offers programs in commercial truck driving and heavy equipment operation. Other options in nearby communities include College of the North Atlantic, Keyin College, Operating Engineers College, and Ibew College.